FOR ANY IRISH kid who had The Channels in the nineties, The Dinosaurs was the ultimate sitcom. It was also shown on Network 2, but you’re never quite sure if it existed or if it was a dream. IT EXISTED. And it was amazing. The Sinclair family were family goals. Earl, Fran, Robbie, Charlene, and Baby. We miss you. Besides the fact that he was a deadly Meglaosaurus, he put up with baby giving him hell and he still loved him with all his big dinosaur heart. Baby, we love you baby. We still fondly think of the day you cracked out of an egg. Remember the McDonald’s toys? So rare, so coveted. Dinosaur News Network’s Howard Handupme was inspired. 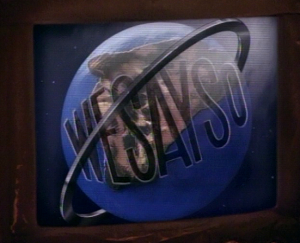 The Wesayso Corporation was again, an inspired name. Remember what happened? Earl’s company causes the ecosystem to go ape and his attempts to fix it brings on the ice age, effectively killing everyone. Pleasant. Just remembered how fucked up the ending to Dinosaurs! tv show was. Even if you were slightly creepy. Email “10 reasons Dinosaurs was the best sitcom ever shown on Network 2”. Feedback on “10 reasons Dinosaurs was the best sitcom ever shown on Network 2”.